There are 50 naturally occurring species of snakes in Florida, only 6 are venomous. 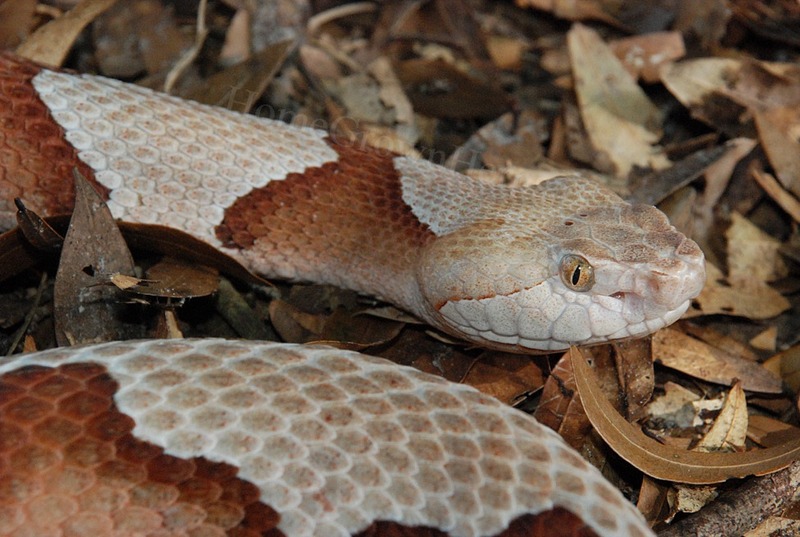 All of Florida's snakes serve an important ecological function and should be respected. The 6 poisonous snakes are listed below with images to help in the identification of the species. In general all of these species will go out of their way to avoid humans. Only when threatened do they occasionally become aggressive. 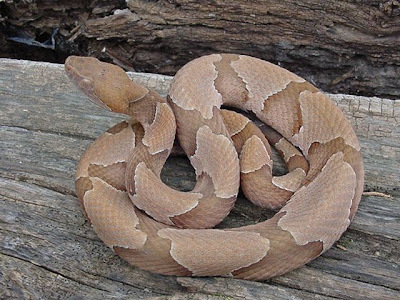 Range: In Florida, this snake occurs only in the panhandle, primarily along the Apalachicola River and its tributaries, and then in the western tip of the panhandle. The range might extend to other nearby areas, but there are no confirmed records from other Florida counties. Outside Florida, the species ranges north to Massachusetts, and west to Texas and southeastern Nebraska. 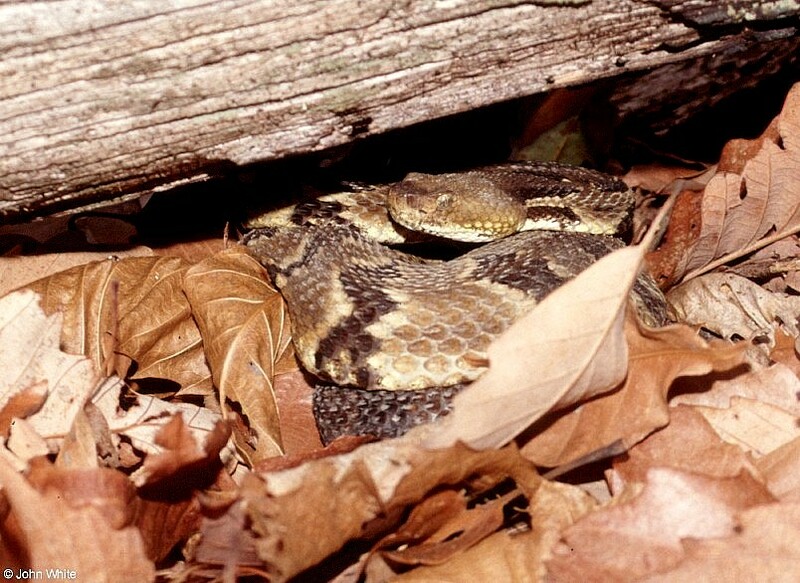 Habitat: The preferred habitat is low, wet areas around swamps, stream beds, river bottoms, and damp ravines, but it also occurs on the hillsides above the wet areas. 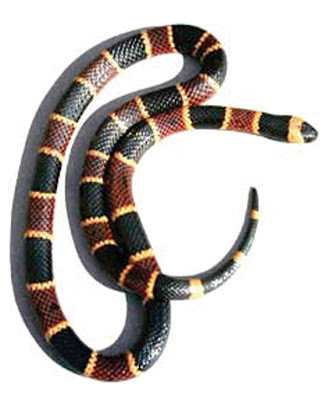 It also is found in suburban neighborhoods near people. Range: Found throughout Florida. The species extends north to Virginia and west to Illinois, Missouri, Oklahoma, and Texas. Habitat: Any wetlands or waterway in the state. 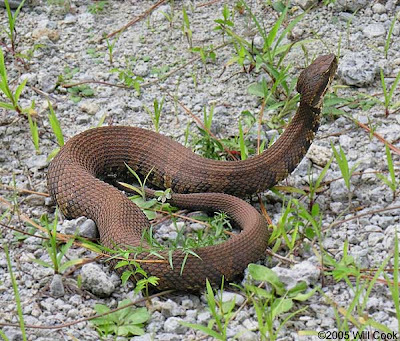 Cottonmouths can be found along streams, springs, rivers, lakes, ponds, marshes, swamps, sloughs, reservoirs, retention pools, canals, and roadside ditches. It occasionally wanders far from water, and has been found in bushes and trees. 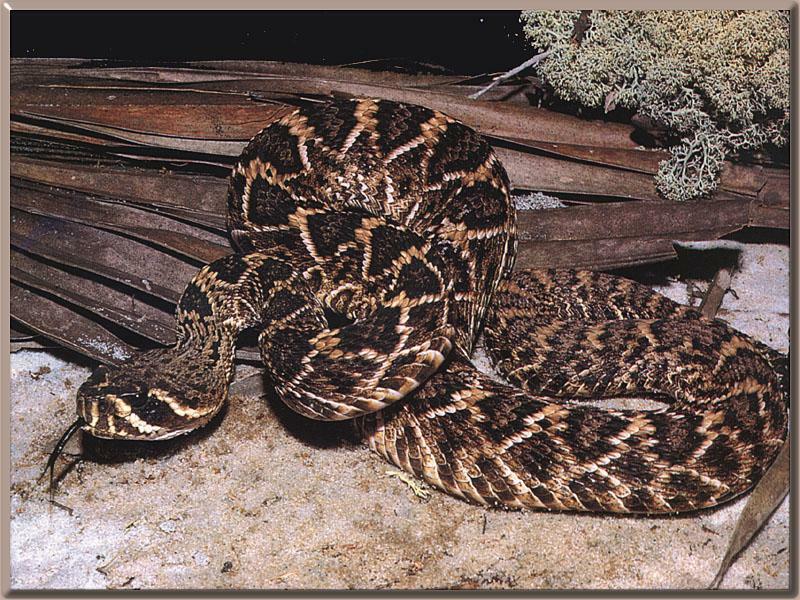 Range: Eastern Diamondback Rattlesnakes are found throughout the state of Florida, including several barrier islands and the Florida Keys. Outside of Florida, they range north along the coastal plain to southeastern North Carolina and west to southern Mississippi and eastern Louisiana. Habitat: Eastern Diamondback Rattlesnakes are often found in pine flatwoods, longleaf pine and turkey oak, sand pine scrub areas, and coastal barrier islands. 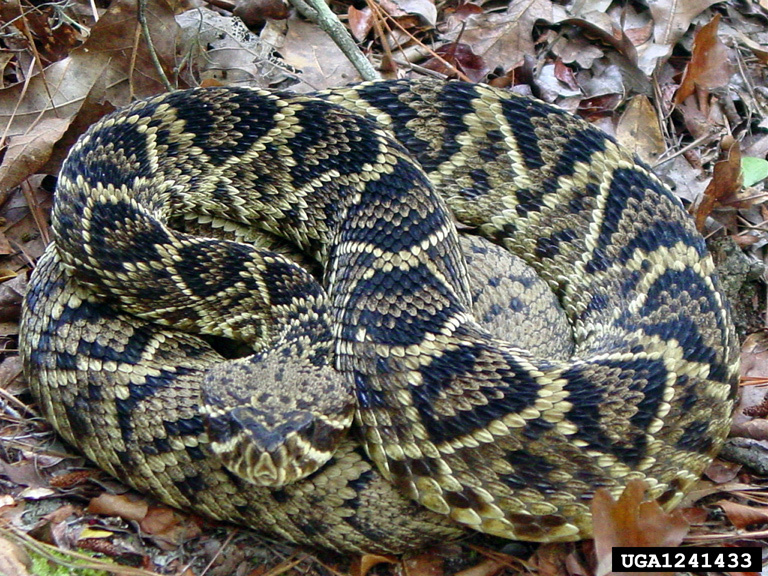 These habitats contain palmetto thickets and Gopher Tortoise burrows in which the Diamondback Rattlesnake may seek refuge. 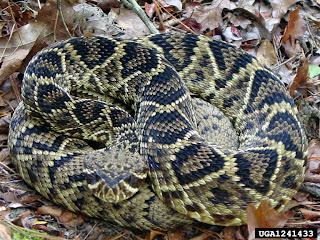 Humans have invaded many of Florida's pine flatwoods and scrub areas which now contain farms, homes and shopping plazas. 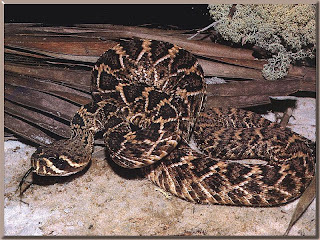 As a result, the displaced Eastern Diamondback Rattlesnakes may be turn up in backyards, golf courses, and even parking lots. I've encountered more of this snake over the years than any of the other poisonous snakes of Florida. Not only do they blend in perfectly with the environment, making them very hard to see, but when I've accidentally stepped on them they flee. 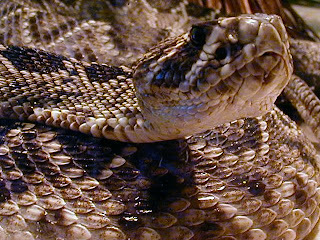 See my photos of a rather large Diamondback Rattlesnake that I stepped on, accidentally, in 2008. Range: The Timber Rattlesnake snake has a very limited range in our state, found in only 8 or 9 counties in northern Florida. It ranges as far south as Volusia County and as far west as Hamilton and Suwannee Counties. There are also a few records from the panhandle. Outside of Florida, it ranges north to southern Maine and west to central Texas and southeastern Minnesota. 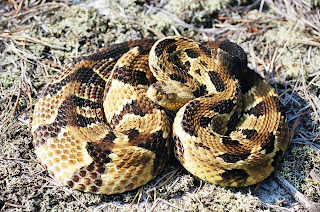 Habitat: Timber Rattlesnakes in Florida prefer low bottomlands where it is fairly damp, river beds, hardwood hammocks, pine flatwoods, swamps, and cane thickets. 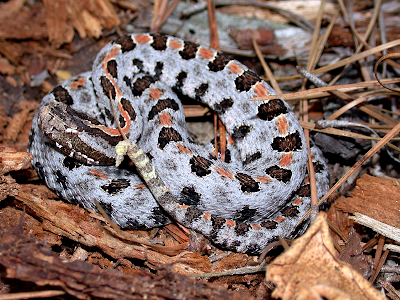 Range: The Dusky Pigmy Rattlesnake occurs throughout Florida, excluding the Florida Keys. Outside of Florida, it occurs north to eastern North Carolina and west to eastern Texas and southern Missouri. Habitat: Common in lowland pine flatwoods, prairies, around lakes and ponds, and along the borders of many freshwater marshes and cypress swamps. 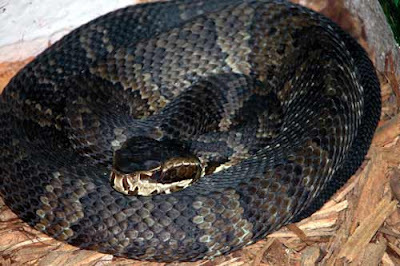 Possibly the habitat in which Dusky Pigmy Rattlesnakes are most frequently encountered, at least in southern Florida, is the banks of canals running through marshes and prairies. Range: The Eastern Coral Snake occurs throughout Florida, south into the Upper Florida Keys. 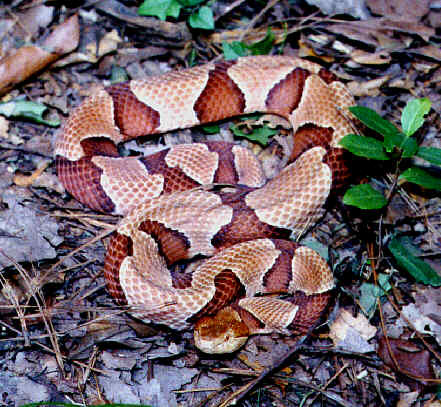 Outside of Florida, it is found north to southeastern North Carolina and west to eastern Texas and northeastern Mexico. Habitat: This species occupies a variety of habitats, from dry, well–drained flatwoods and scrub areas to low, wet hammocks and the borders of swamps. They are quite secretive and are usually found under debris and in the ground, but occasionally they are found in the open, and have even been seen climbing the trunks of live oaks. Good numbers of them are turned up when pine flatwoods are bulldozed, particularly in southern Florida. I've occasionally picked up one of these little snakes in leaves. 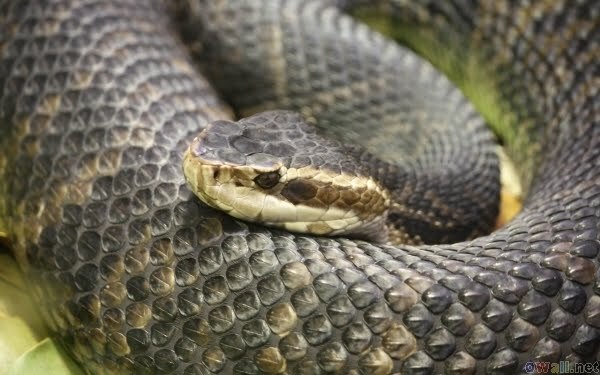 They will not bite like a viper, rather they need some time to chew on one's hand or foot. 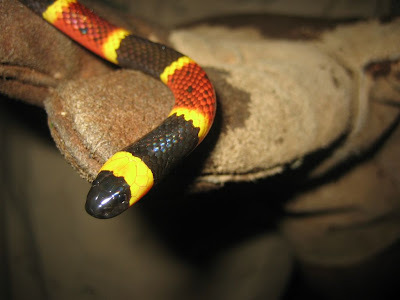 Most likely humans that have been bitten by this snake were playing with the snake or put on shoes barefoot where the snake had taken refuge. 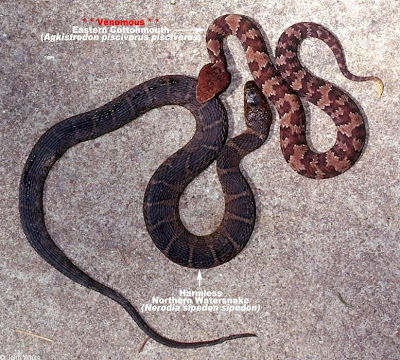 The remaining 44 species (and their subspecies) of naturally occurring snakes in Florida are harmless. All of Florida's snakes should be protected for the beneficial role they play in the natural ecosystem. 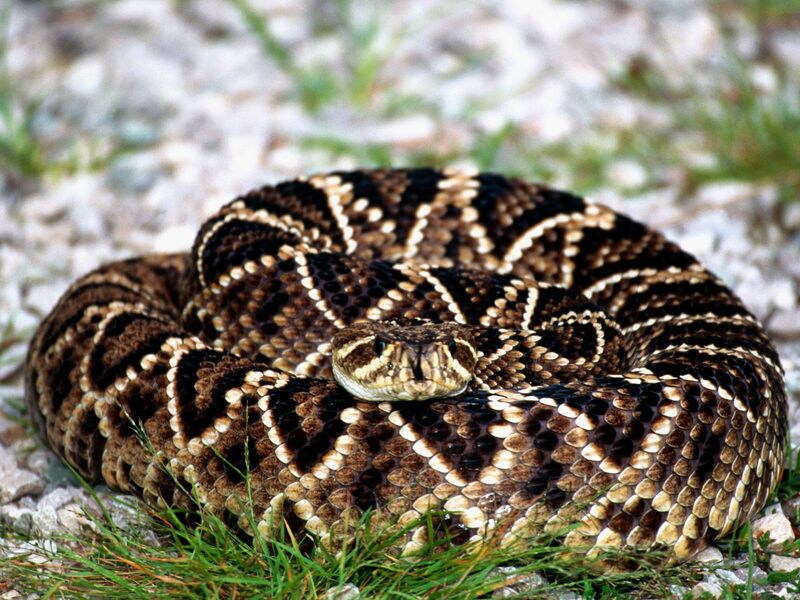 NON-POISONOUS SNAKES OF FLORIDA here.